Brogues: suede, laser-cut, cut-out or the usual leather (I like them but not mad about them for the warm part of the year). D’Orsay flats (cute, a cheap pair will do). Curved heel shoes (decided to put the original but plenty of cheaper ones around and no, I won’t have them, love them though, maybe next season). Mules. I still have some pairs from the last time they were fashionable!!!!!!!!! Does that mean I am old or lucky?!? Anyway, these have also got “The curved heel!” Nice flat and mid heel too. White rubber soles (have already ordered them!!!!). 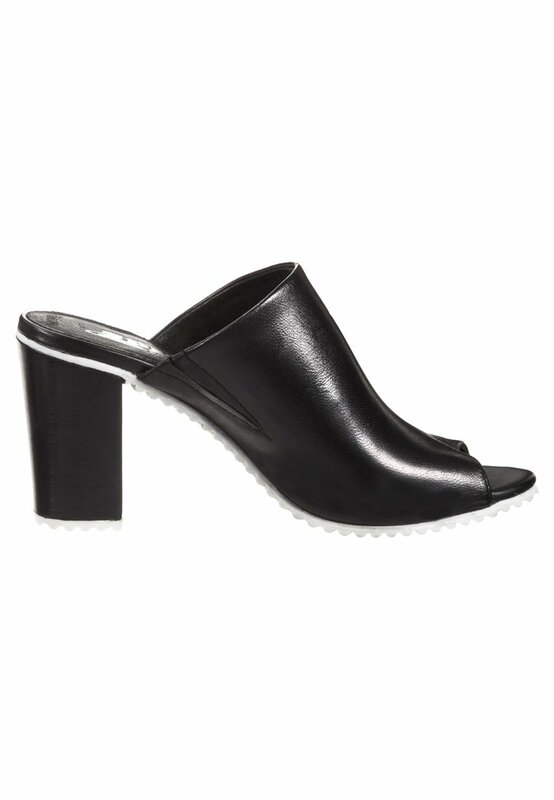 Love them because they are mules, they aren’t too elegant because of the sole and the heel looks comfy, I hope!! Of course there are more styles than I decided to show on this post but I chose to only show what I like. As usual. This entry was posted in Current season and tagged curved heel shoes, cut-out brogues, D'Orsay flats, lace-up flats, mules, patterned flats, Spring/Summer shoes, two-tone shoes, white rubber sole shoes by stylepointofview. Bookmark the permalink.